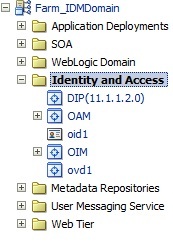 In this post I walk you through how to validate an Oracle Identity Management build out containing OID, OVD, OIM, and OAM. This post was motivated by work I have done with Fusion Apps. It is important to validate the IDM build out for Fusion Apps before you move on to the provisioning of Fusion Apps itself. Problems detected during the IDM build out are much easier to diagnose and fix than problems detected during FA provisioning, FA functional setup or FA operations themselves. In addition, it is important to have documented validation steps for your Oracle IDM environment to use at other points as well. For instance, you will want to validate your IDM environment when you bring it back online following a backup. Lastly, you will want to be able to go through validation steps for your IDM environment as a means of debugging IDM related application issues. For example, let’s say people come to you all of the sudden saying they can’t login to a Fusion HCM application. You’ll want to be able to go through the IDM validation steps to see what if anything is wrong with the IDM infrastructure that could be causing this issue. Again, I wrote this with Fusion Apps in mind but everything here also applies to enterprise Oracle IDM build outs that use OID, OVD, OIM, and OAM. The only differences may be that for an enterprise deployment, the IDM services may be spread out across multiple WLS Domains and the system account being verified in the OID validation step may be different. The following are test cases for validating your IDM environment from bottom to top. We begin with just verifying that all services are running, move onto validating that the directory services are working, and then onto validating that OAM and OIM are working. We finish up with advanced but important tests that validate that SOA suite (the workflow provider for OIM) is working properly with OIM and that OAM/OIM integration is working. These are descriptive test cases rather than fully documented click by click instructions. If you new to the Oracle IDM stack I encourage you to put in the time to flush this out into click by click instructions. 1) Verify all services are running. Login to IDM Domain admin server and ensure that all managed servers are up and running. a. Go to environment –> Servers. 2) Verify ODSM and OID. 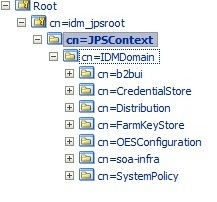 Go to ODSM connect to OID and verify that you can see all users and JPS root (for policy data). 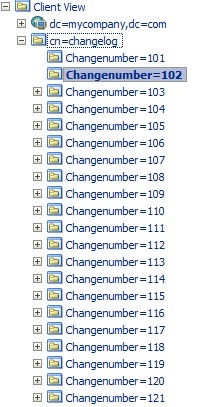 c. Verify that you can see change log data. Verify ACL (security) during first validation, but this can be skipped on restart validation. a. Go to OAM admin console and verify that login form is being served through “SSO” virtual host (sso.mycompany.com). b. Verify that you can see policy data. c. Sign out, you should see the login screen again. a. Go to EM and verify that the login form is an OAM login form being served through the “SSO” virtual host (sso.mycompany.com). b. Verify that EM sees all the IDM services. 1) 7) Verify OAM and OIM. a. Go to OIM as xelsysadm and verify that the login form is the OAM login form being served through the “SSO” virtual host. b. Verify that you can see all the users. c. Verify that you can see all the roles. 1) 8) Verify OIM part 2. 1) 9) Verify OIM part 3.
a. 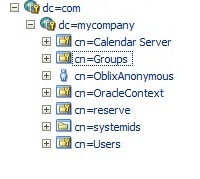 Create user in OID and assign it to a group. b. Login to OIM as xelsysadm and do reconciliation for both users and rolls. 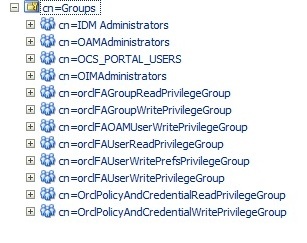 c. Verify that you can login as that user into OIM, verify that the user shows up in OIM and that user has role that is mapped to group that you assigned user to in OID. 1) 10) Verify OIM part 4. Verify that SOA is working with OIM. 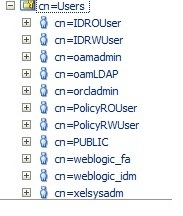 a. Login to OIM as xelsysadm, create another new role “test role 1”. Logout. b. Login as the test user you created, go to requests, create request, request for me, self assign role, then select “test role 1”. Logout. c. Login as xelsysadm and see that the request is awaiting your approval. Approve the request. You’ll have to do the approval twice. The first approval is for the request and the 2nd approval is for the operation. d. Verify that the test user has been assigned the role they requested. 1) 11) Verify OAM/OIM integration and in particular OIM to OAM connectivity. a. 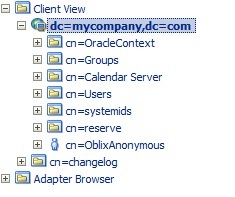 Create a new user in OIM and assign that user the IDM Administrator role. b. Login to EM as that user. You should be taken to OIM self service page to reset the user’s password and fill in forgotten password questions. When that is complete you should be taken back to EM without having to login again.